No Trace is your online source for zero waste shopping. Check out our offerings to help eliminate disposables from your life. 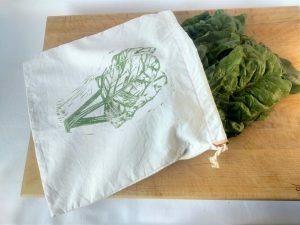 Tote your lunch and groceries in eco-style with all natural, washable, biodegradable totes. Ditch plastic-lined lunch bags in favor of all natural, reusable, and washable bags made with 100% cotton. 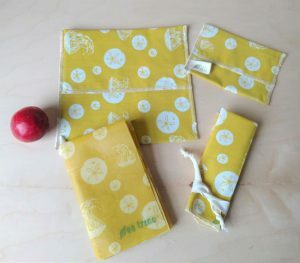 Beeswax wraps are an all natural alternative to plastic wrap. Use them anywhere you would use plastic wrap or tinfoil. They are great for wrapping burritos, covering bowls, covering cantalopes, wrapping an avocado, and more. 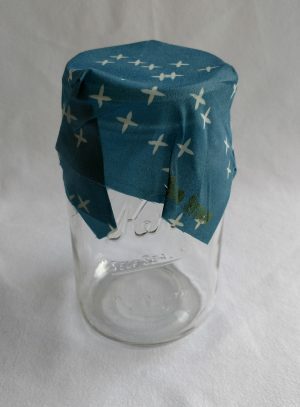 Read my blog post on beeswax wraps here. Bring your own shopping bags – for your veggies and bulk items! Eliminating plastic bags from your shopping trips is a simple way to reduce waste in your life. Check out our full selection of options! Pack your lunch in eco-style with No Trace reusable, washable sandwich and snack bags. Made with 100% organic cotton fabric. Easy to use and reuse. Sustainable replacement for ziplock baggies. Available in several fabrics. Check them out! 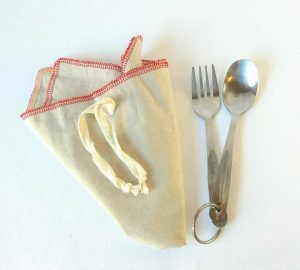 100% cotton hip bags. Wear your eco-style on your hip. Perfect bag for your phone and cards. Made with 100% organic cotton fabric scraps. Sustainable replacement for synthetic fabrics. Available in several fabrics. Check them out! Eco-friendly sewing patterns here! 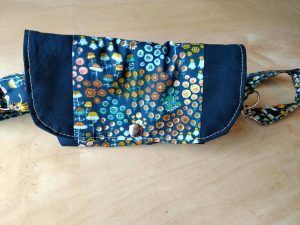 Sew without making scraps. Tackle that scrap pile! 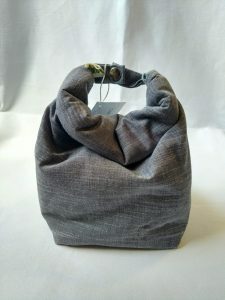 Get started on your journey towards zero waste with a set of bags and wraps. No Trace has a number of options that are 100% organic cotton and biodegradable. Browse our selection and get take the first step towards zero waste. Ditch disposables, switch to reusables! Wipe your fingers and blow your nose in sustainable elegance. Say adios to disposables. 100% cotton.